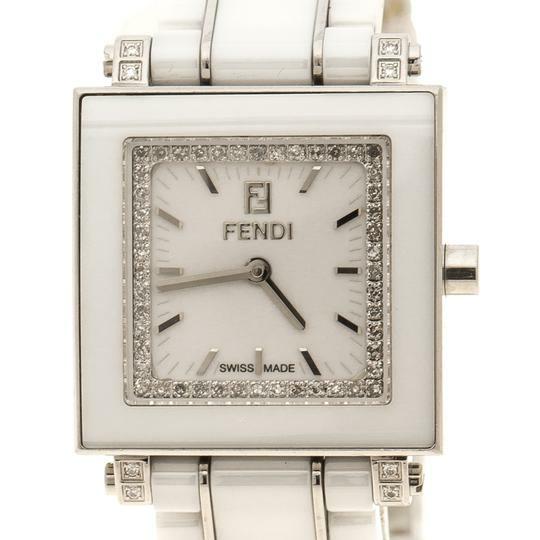 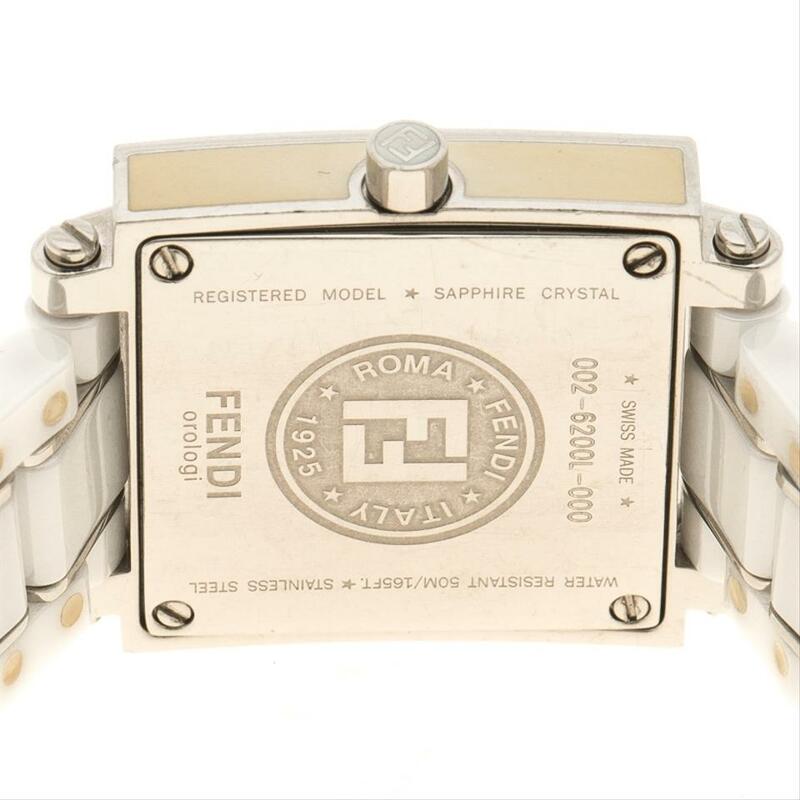 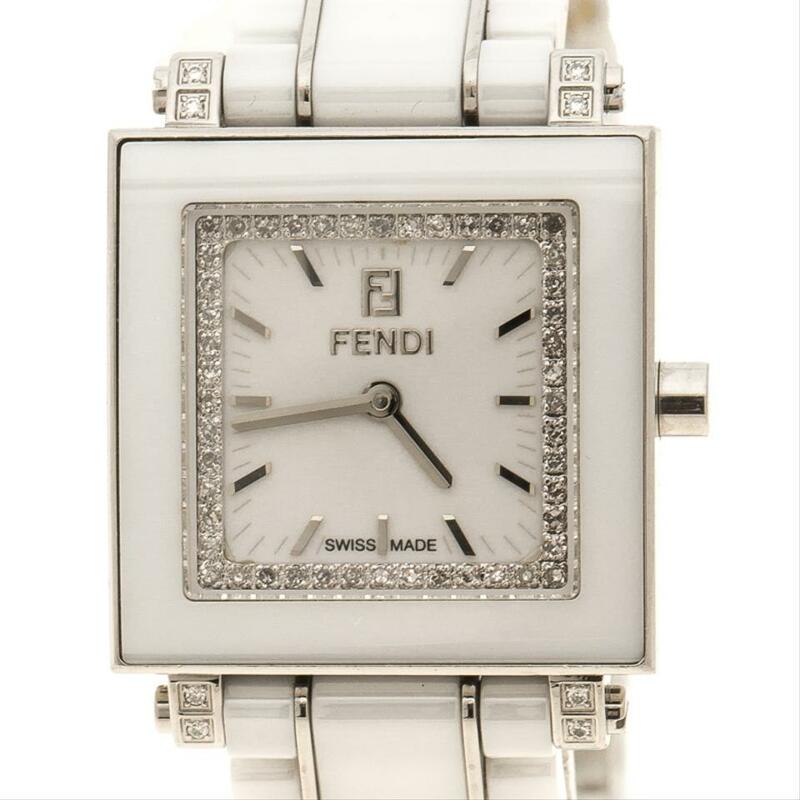 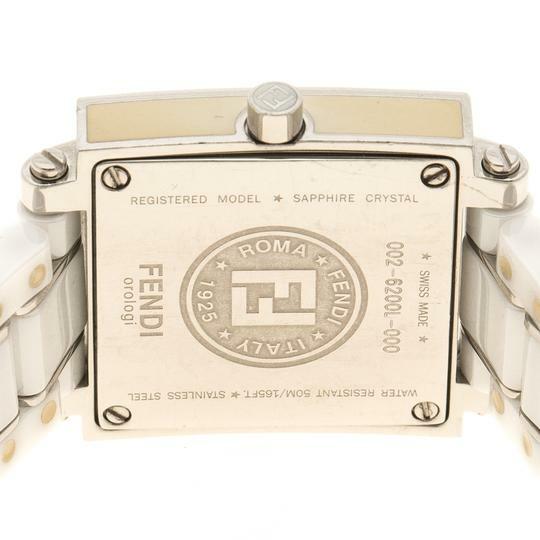 Perfect to pair with your day time party looks and a subtle hint of glamour, this Fendi Quadro wristwatch is effortlessly elegant. 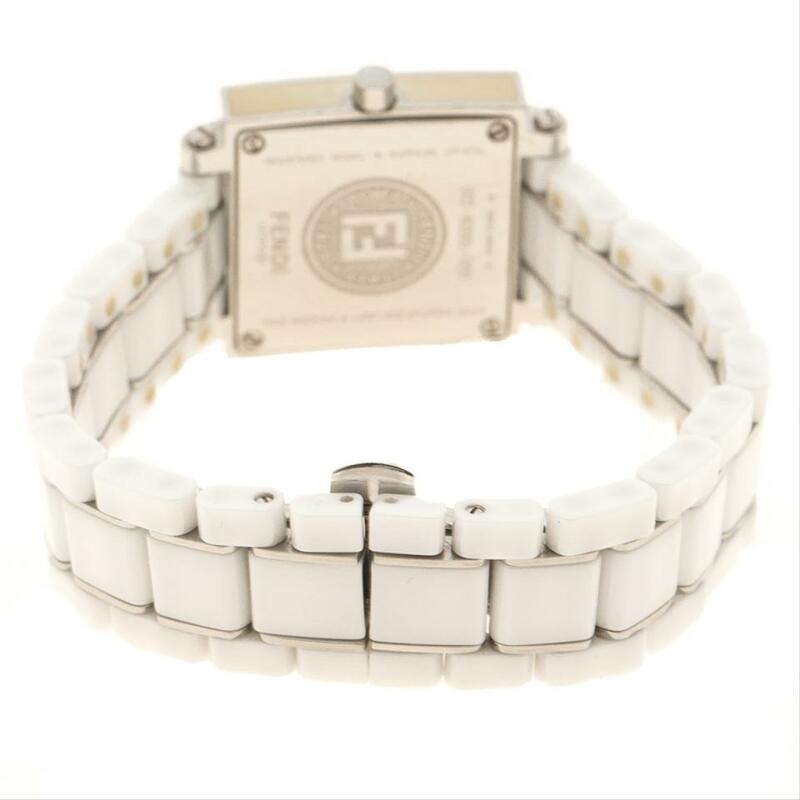 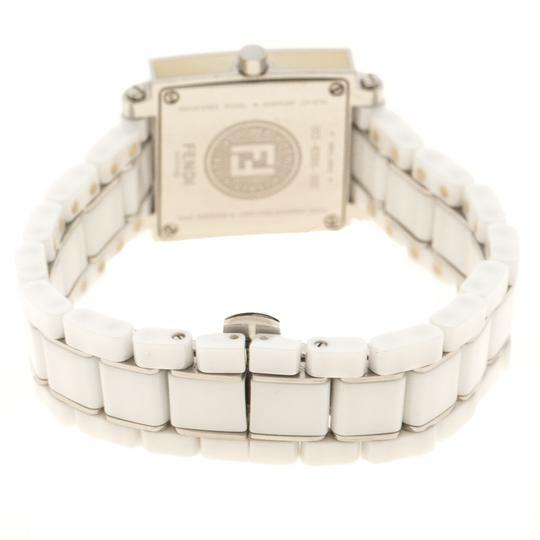 Constructed in stainless steel material, this watch is coated with white ceramic accents all across the bracelet and the square bezel for a distinct look. 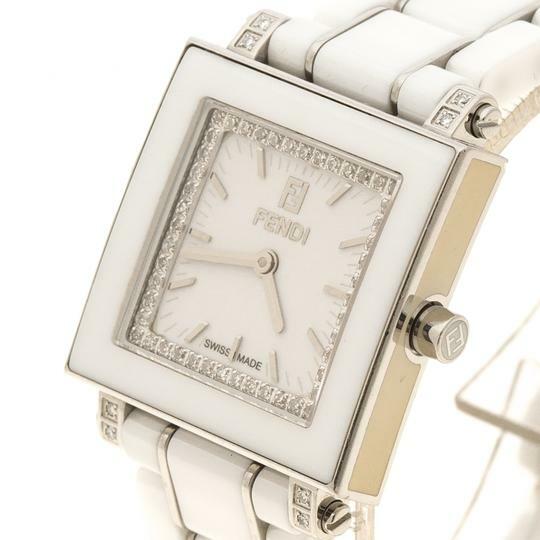 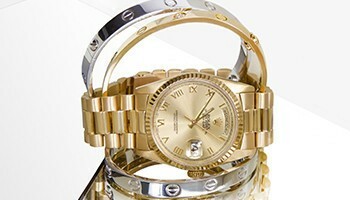 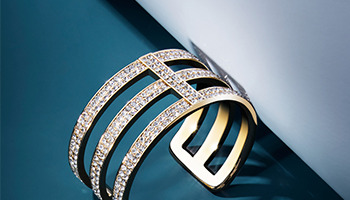 The white dial with diamond studded border completes the look on this piece.